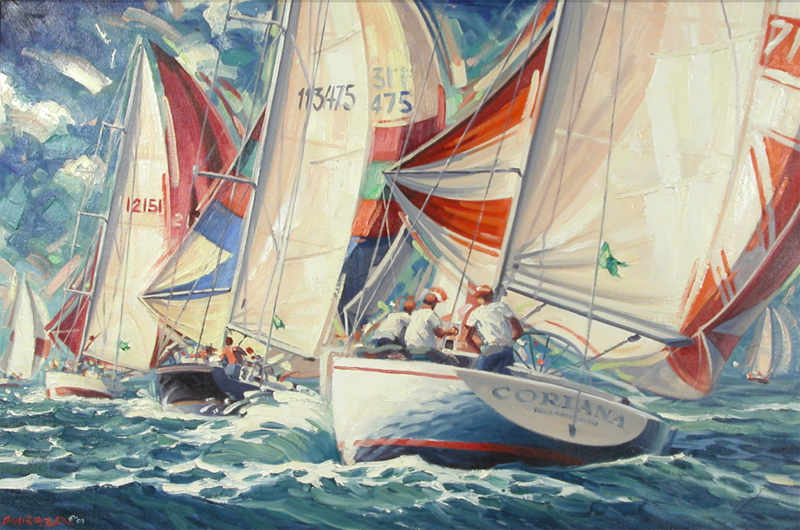 With spinnakers filled these yachts run for the finish. Oil on Canvas. Art 24″ x 36″ Overall Framed 35″ x 47″.